Grand Oaks of Palm City offers a variety of spacious floorplans that are sure to appeal to everyone. 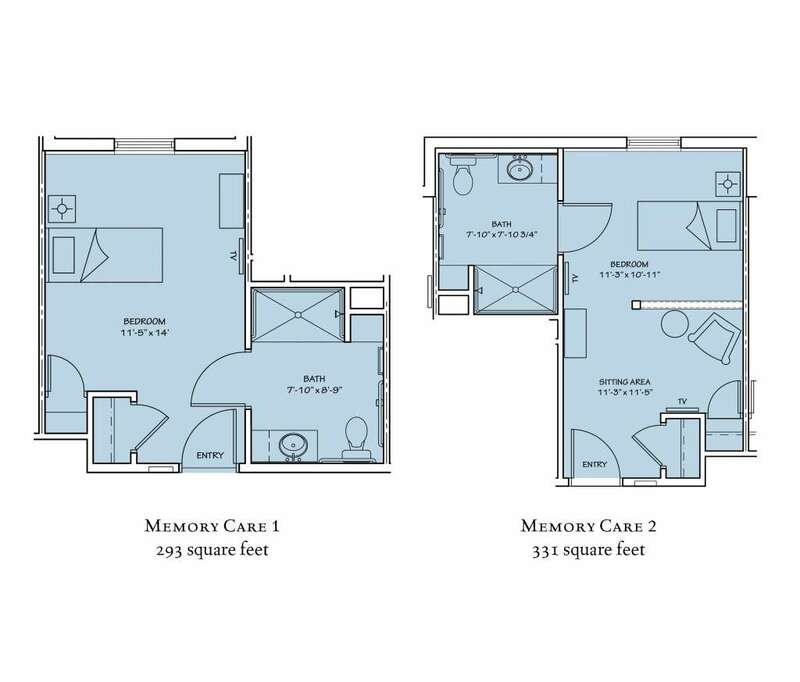 Whether you need a studio suite, a two bedroom suite or a Memory Care suite, we have rooms to accommodate every resident and their unique needs. Our one bedroom, one bathroom Pelican Suite is 293 square feet of comfortable living space. It boasts two closets and has a large bathroom with safety features like a walk-in bathtub and handrails. Complete with a spacious bedroom, this suite is just the right size! 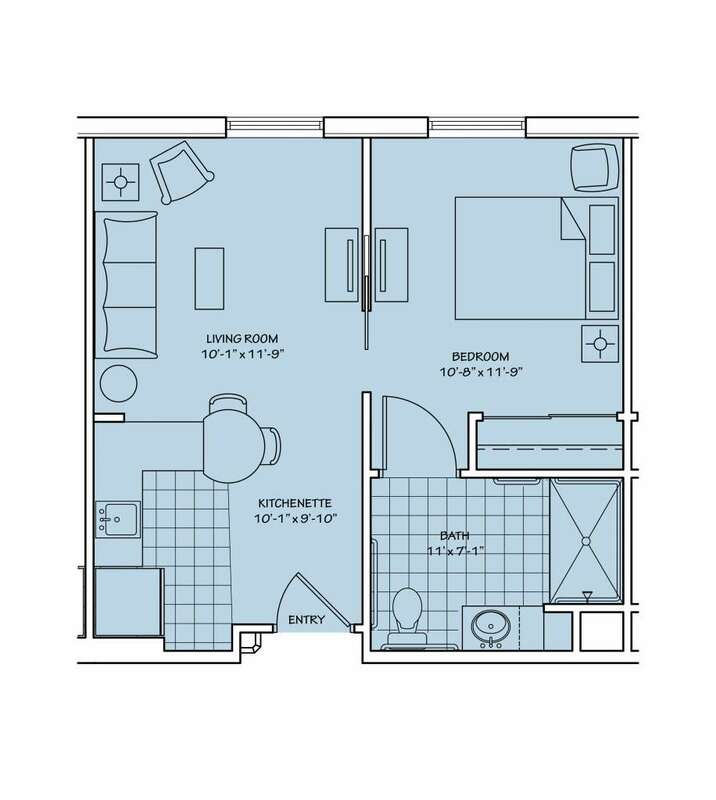 Our beautiful one bedroom, one bathroom Osprey Suite is 331 square feet and has a large bedroom with ample closet space, separate living area, and a spacious bathroom complete with walk-in bathtub and handrails. This suite has everything you need! 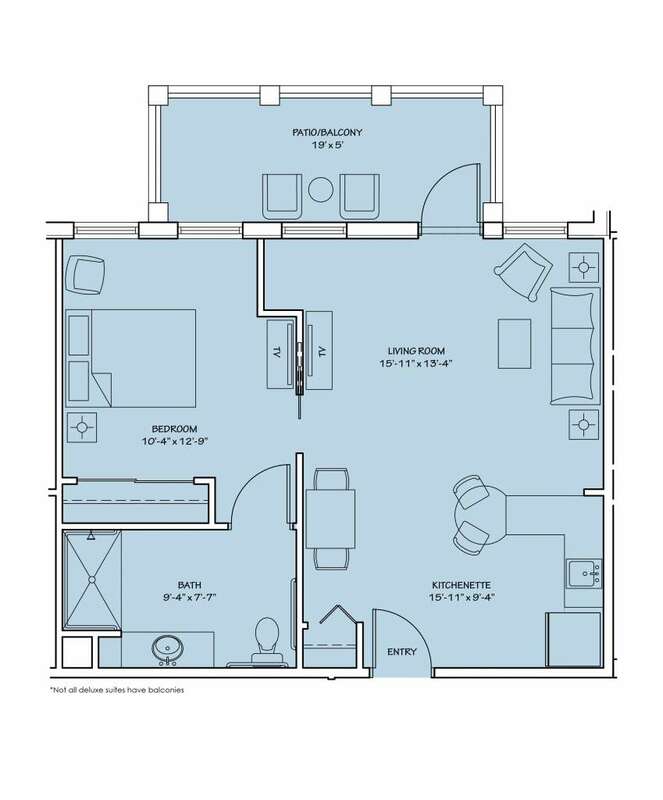 At 529 square feet, the Flamingo Suite ensures you have plenty of room, plus exciting amenities like a kitchenette, living area, bedroom, large bathroom with walk-in bathtub and handrails, two spacious closets, and a private balcony or patio where you can enjoy your morning cup of coffee! 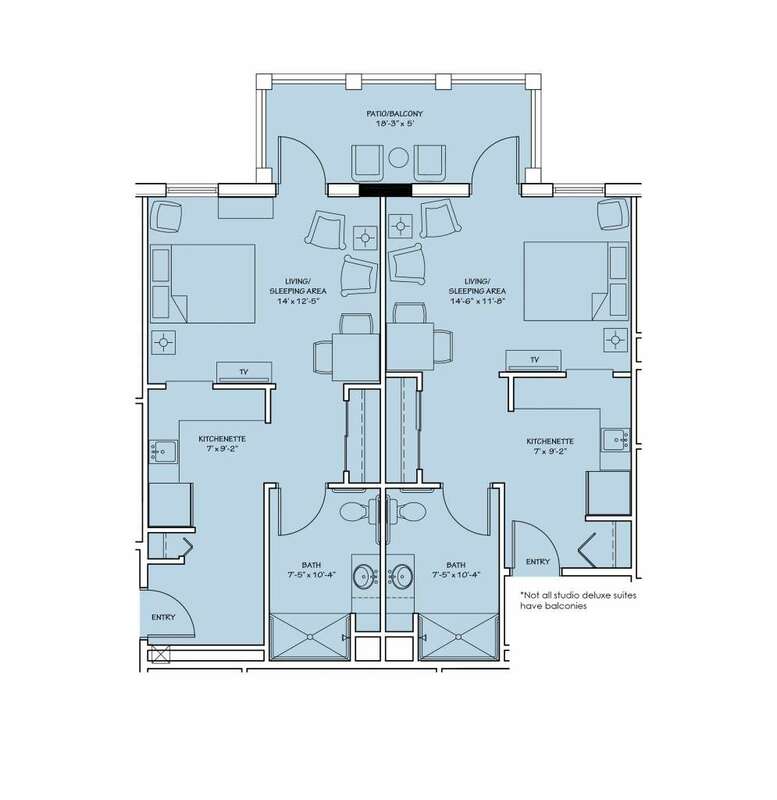 With 485 square feet of living space, the Sailfish Suite is a premier one bedroom suite that provides plenty of room! Complete with its own kitchenette, living area, bedroom, and large bathroom with walk-in bathtub and handrails, this suite has all the amenities of home. 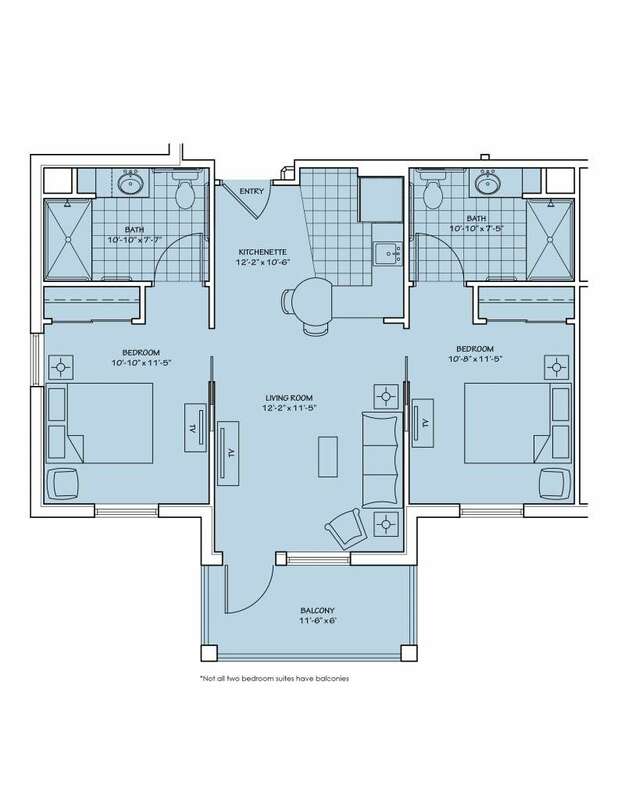 Starting at 445 square feet, the Hibiscus Suite is a favorite among residents wanting two bedrooms. In addition to having two bedrooms, this suite also boasts two kitchenettes, two large bathrooms with walk-in bathtubs and handrails, four spacious closets, and a private balcony or patio where you can soak up all the beautiful Florida weather! You’ll feel right at home in our 370 square foot Dolphin Suite. Complete with its own kitchenette, combined living/sleeping area, two spacious closets, and a large bathroom with walk-in bathtub and handrails, this suite is sure to make you feel right at home! Our largest suite, the Sandhill Crane, has two bedrooms and over 800 square feet of living space. 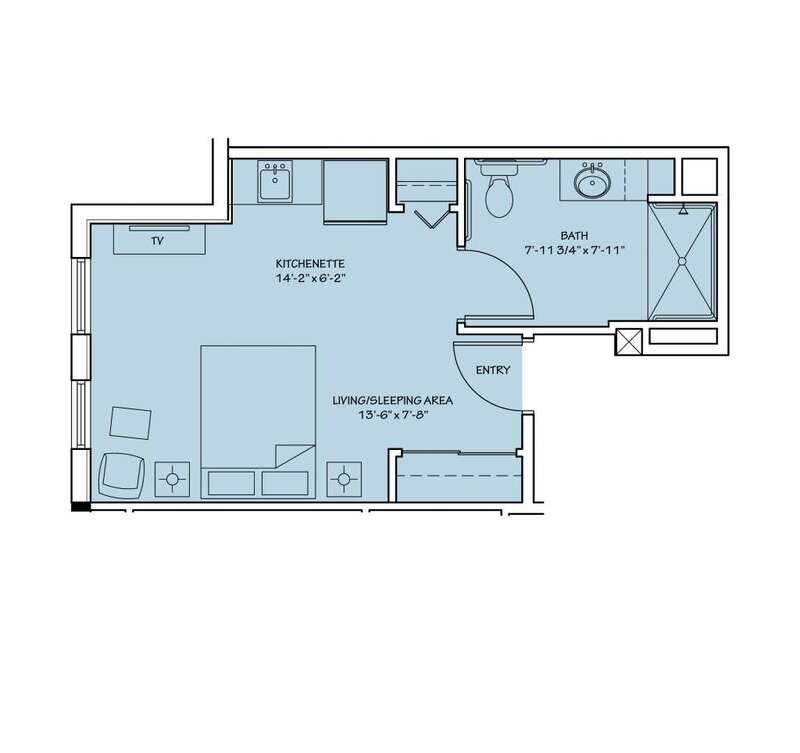 In addition to two bedrooms, this suite has a kitchenette, spacious living area, two large bathrooms with walk-in bathtubs and handrails, four closets, and a private balcony!